Plan a weekend trip to Memphis, home to great museums, historic attractions, family-friendly activities and beautiful parks. 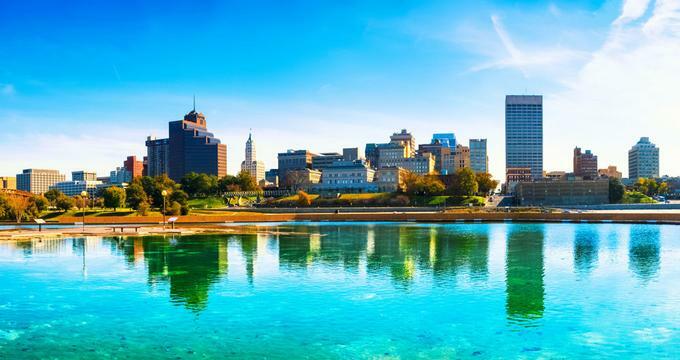 Music lovers looking for a fun vacation should head straight to Nashville, Tennessee, as it offers the perfect combination of present-day rock and roll and historic country music. 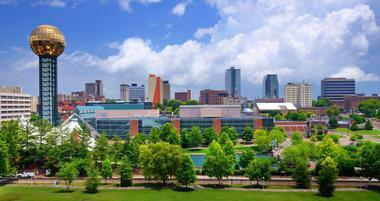 Plan a weekend trip to Knoxville, home to historic landmarks, great museums and a vibrant performing arts scene. Nashville is a getaway for music, history and food lovers, offering a diverse choice of things to see and do. Home to Great Smoky Mountains National Park, Tennessee has something to offer every type of vacationer. 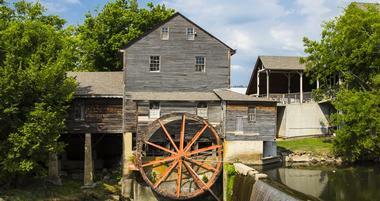 Gatlinburg, Tennessee is an ideal base for exploring Great Smoky Mountains National Park. Outdoors, Tennessee offers great activities for active visitors, including hiking, paddling, cycling, and horseback riding, all against a backdrop of mountain plateaus, waterfalls, valleys, and rivers. One of the gateways to Great Smoky Mountains National Park, Knoxville is a city filled with so much to see and do. Plan a weekend trip to the Great Smoky Mountains in eastern Tennessee and explore the attractions and museums in Pigeon Forge. Kingsport, Tennessee is a small city located on the Holston River in northeastern Tennessee. 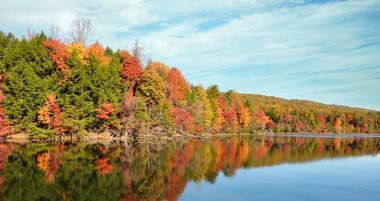 Tennessee is a popular family destination for weekend getaways and outdoor adventures. The state has a rich history and played a huge role during the American Civil War. Many of the sites and attractions such as the pre-civil war mansions in Murfreesboro and Shiloh National Military Park tell visitors an enthralling story. The capital, Nashville, is often called Music City, and right so as visitors will come across many country music attractions such as the Country Music Hall of Fame and the historic RCA Studio B. Outdoorsy visitors will head straight to the Great Smoky Mountains National Park where they can hike, camp, swim, fish, and much more. 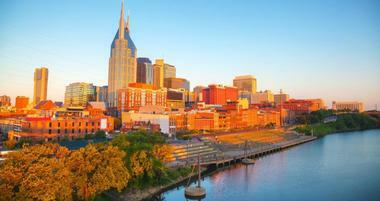 A city that comes alive to the beat of a song, it’s no wonder that Nashville is known as Music City. A visit to Nashville isn’t complete without a visit to the Country Music Hall of Fame and Museum where the legends of the past and present are exhibited. Visitors can’t leave without ‘riding the row’ which is a tour of Music Row and the historic RCA Studio B where Elvis, Roy Orbison, Dolly Parton and other stars recorded classic hits. The city is an artist’s dream and is brimming with art galleries, festivals, and many more events throughout the year. According to USA Today, Memphis is home to America’s Best Iconic Street: Beale Street. The historic district is lined with blues clubs and restaurants, making Memphis one of the best locations for summer outdoor concerts and festivals. What better way to truly appreciate music than a visit to the famed former home of Elvis Presley, Graceland. Other must-visit attractions include the National Civil Rights Museum, Sun Studio, the Memphis Rock N’ Soul Museum, and the Stax Museum of American Soul Music. A vacation to Memphis isn’t complete without dabbling in some of the local cuisine including some of the best barbecue in the country. A UNESCO World Heritage Site, the Great Smoky Mountains National Park is the most visited national park in the United States with over 11 million visitors annually. The 522,419 acre park is perfect for bicycling, hiking, camping, fishing, horseback riding, and exploring preserved historical attractions. Some of the must-see aspects of the park are Cades Cove, Newfound Gap Road which has been named one of ‘America’s Best Winter Drives’, the Roaring Fork Motor Nature Trail, and Clingman’s Dome, the highest point in all of Tennessee. Visitors who are looking to experience all of the diversity the national park offers can head straight to Sugarlands Valley where the historic sites, streams, old roadways, and flowers all come to one spot. 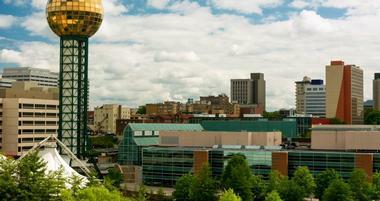 Knoxville is known for many things, some of which include being the home of soft drink Mountain Dew and for having the largest Labor Day weekend fireworks display in the nation. Visitors who find themselves in Knoxville can head to the historic Market Square, catch a show at the Tennessee Theatre, spend a day exploring at the Ijams Nature Center, or take the family to enjoy a day relaxing at World’s Fair Park. Other top sights are the Sunsphere with its landmark tower and observation deck or Gay Street which is busy with concerts and festivals during the summer months. Officially nicknamed Scenic City, Chattanooga has some of the most beautiful panoramic views in all of Tennessee. The city lies beside the Cumberland Plateau and the Appalachian Mountains and has a reputation for being the place to go for outdoor activities. Visitors who aren’t a fan of the outdoors can head to the museums, some of are the International Towing and Recovery Hall of Fame and Museum, the Tennessee Valley Railroad Museum, and the Hunter Museum of American Art. Other attractions include the Tennessee Aquarium, the Tennessee Caverns, the Tennessee Riverwalk, and the Creative Discovery Museum. A popular tourist destination, the mountain resort city of Gatlinburg can be found on the border of the Great Smoky Mountains National Park. Modern day Gatlinburg lies on what was once a footpath used by Cherokee and other Native American hunters called the Indian Gap Trail. Other than exploring the national park, visitors can go to the only ski resort in all of Tennessee, visit Ripley’s Aquarium of the Smokies, or spend a day at Dollywood or Dollywood’s Splash Country, two amusement parks named after Dolly Parton. Automobile lovers will enjoy a day at the Hollywood Star Cars Museum which has the Beverly Hillbillies jalopy and the Batmobile. 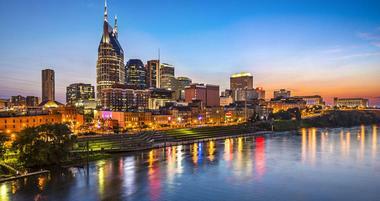 One of the principal cities of the Nashville metropolitan area, Franklin is the seventh largest city in Tennessee. Visitors can enjoy the many festivals the city holds throughout the year, the most notable being the Main Street Festival that brings together over 200 artisans, two carnivals four stages, and multiple food courts. Other famed festivals are the Wine Down Main Street which is a unique wine tasting event, the Pumpkinfest filled with Halloween-themed activities, and Dickens of a Christmas which attracts over 50,000 visitors to Downtown Franklin to see the 250 costumed volunteers parade as characters from the Charles Dickens novel. Often called ‘the queen city’ or ‘gateway to the new south’, the city of Clarksville has many interesting and exciting attractions that make it perfect for a fun-filled weekend getaway. Visitors can start off with a little bit of culture at the Downtown Clarksville’s Customs House which has many temporary and permanent exhibits which depict the city’s rich history. Those who are looking for a bit more excitement can head to Excape Games, where they can try their hand in working together and escaping from one of four escape rooms with varying difficulty. Other things to do and places to see include antiquing at Miss Lucille’s Marketplace, picnicking at the 100-acre Woodlawn Park, seeing how the other side live in Amish country, or visiting one of the many historical monuments such as Fort Defiance or L&N train station. Jackson, which was once occupied by the historic Chickasaw people, is a city with a rich history and culture. Prior to the Civil War, Jackson was a popular railroad junction and held the maintenance shops for several railroads; visitors can learn all about the city’s railroad history at the Casey Jones Home and Railroad Museum. Visitors can spend the day at Cypress Grove Nature Park and get up close and personal with eagles, owls and many other flora and fauna. Automobile lovers will enjoy visiting Rusty’s TV and Movie Car Museum which houses cars and memorabilia from shows such as The Dukes of Hazzard, Scooby Doo, and Back to the Future. Recognized as the “Birthplace of Country Music” by U.S. Congress, the city of Bristol is best known for having been the first place country music was commercially recorded. Visitors can head to the Birthplace of Country Music Museum to learn about the role Bristol played in showcasing country music legends such as the Carter Family and Jimmie Rodgers. Visitors who are in Bristol during the third weekend in September can take part in the annual music festival, the Bristol Rhythm & Roots Reunion. Other than enjoying country music, visitors can head to the Bristol Motor Speedway, a popular NASCAR short track motorsports facility, try the Richard Petty Driving Experience, or spend a day at Steele Creek Park golfing or paddle boating. Founded in 1856, Johnson City is the perfect weekend getaway for adventurous, outdoorsy visitors. The Watauga River is a popular spot for swimming, fishing, rafting, kayaking, and just spending a fun day under the sun. Visitors can also head to Buffalo Mountain Park to hike and explore the lush flora and fauna found there. While other sites and attractions include the Fray Fossil Site, Rocky Mount Museum, Founders Park, and the Tipton-Haynes House, underage visitors will want to head straight to the Hands On Regional Museum; there they can play with the interactive exhibits and learn about science and the arts in a fun environment. Ranked as one of the best places to live by ‘Money’ Magazine, Murfreesboro, TN is also an amazing place for a relaxing vacation. The city is filled with history, culture, and entertaining places to see and go. Other than being the site of one of the major battles during the American Civil War, Murfreesboro is also home to many academies and colleges. Visitors can head to the city square which is filled with museums, theatres, and much more in the art-centric neighborhood. Younger visitors will enjoy a day at the Discovery Center at Murfree Spring where they can explore the nature center and interactive museum while meeting a variety of animals. Other sites include the Stones River National Battlefield, the Barfield Crescent Park, or touring historic Civil War mansions at Oaklands. Often called the Secret City or the Atomic City, Oak Ridge was the site for the Manhattan Project - the very same one that developed the atomic bomb. Nowadays, visitors can spend their days exploring the Manhattan Project National Historical Park and learn about the stories behind the bomb’s creation from the very site it was created. There are many other points of interest such as the American Museum of Science and Energy where the exhibits investigate various energy sources. Younger visitors will like exploring the hands-on exhibits and train-car garden at the Children’s Museum of Oak Ridge. The entire family can go on some great outdoor adventures whether it be fishing in Melton Hill Dam, camping at Fort Loudoun Lake, or relaxing at the Tellico Reservoir. Founded in 1837 by American pioneer and soldier Benjamin Cleveland, the city of Cleveland, TN attracts visitors from all over the United States. Tourism plays a huge role in the small city with people coming to see the many attractions such as Cherokee National Forest where outdoor activities such as hiking, fishing, and camping can be done. Also dubbed the “Halloween capital of the world”, Cleveland hosts one of the largest Halloween block parties in the world, with more than 20,000 people attending. The Main Street fiesta includes live music, a costume contest, and numerous food stands. Columbia, also known as Mule Town, follows the motto “Old South Charm, New South Progress”, and rightly so as that’s exactly what visitors will come across. One of the most interesting attractions in Columbia is the James K. Polk Ancestral Home. The museum is one of the last two surviving residencies of the 11th President of the United States, with the other one being the White House. Other sites and attractions include Riverwalk Park, Maury County Park, and Rally Hill Manor. Columbia is also a great place to find unique items to keep or to give as gifts; visitors can head to the Columbia Antique Mall or to one of the many specialty shops in the area to find what they need. The 2,376 feet Walnut Street Bridge was built in 1890 to connect Chattanooga, TN with the North Shore. According to records, it was the first non-military highway bridge to cross the Tennessee River and is one of the oldest and longest examples of that particular type of bridge. Over the years the bridge faced disuse and disrepair, closing off to motor vehicles and becoming a pedestrian walkway. Now on the National Register of Historic Places, the bridge was renovated in 2009/2010 and is the location of many events. During the summer, visitors can buy tickets for the Wine of Water wine tasting festival that brings together wines from all over the world. Other bridge events include the Riverbend Festival, the Seven Bridges Marathon, and many other concerts and festivals. The 4,000 acre Shiloh National Military Park preserves historic land which played a huge role during the American Civil War. The park was the site of the Battle of Shiloh, a two-day battle in which Union troops were led by Ulysses S. Grant. Union forces proceeded to capture Corinth where battles continued. Today, visitors can explore the National History Landmark and see the many military landmarks which are in the park. These include the Iowa Monument, the Sunken Road, the Confederate Memorial, and Shiloh National Cemetery. Within the battlefield is also a well-preserved prehistoric Shiloh Indian Mounds site - a National Historic Landmark of its own. 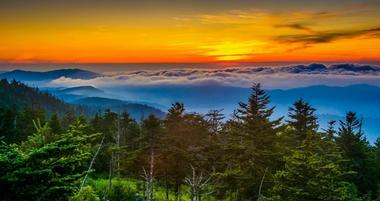 A part of the Great Smoky Mountains, Clingmans Dome is the highest point of all in the Smokies. At 6,643 feet it is also the third highest point in all of Eastern North America. The Clingmans Dome Observation Tower is what attracts many visitors to this point; from the observation tower, visitors can get a panoramic view of the mountains and their surroundings. The dome itself is covered in Southern Appalachian spruce-fir forest, a species that is more common in extremely high elevations. Clingmans Dome has a rich history with Cherokee Native Americans and according to Cherokee myth, the land was the home of White Bear, the great chief of all bears. Centered on a peninsula created by Collins River and Great Falls Dam, Rock Island State Park is an 883 acre park that can be found in the heart of Tennessee. There are many natural and historical structures within the park. Great Falls Gorge is a breathtaking series of cascade and plunge waterfalls that spill into Caney Fork. Twin Falls is a cascade waterfall that spills from an underground cavern; it offers beautiful views the entire family will appreciate. Other historic structures include the Spring Castle, the Great Falls Dam, and the Great Falls Cotton Mill. Often called the “Greatest Site under the Smokies”, Tuckaleechee Cavern is a cave filled with stunning dripstone formations. Founded in the mid-19th century it’s estimated that the caverns are nearly 30 million years old and there are many stories and folklores to prove it. Visitors can head to the cave onyx and see the formations and learn how they were developed from the carbon dioxide given off by plants. Some of the more popular formations are the 12-foot-high stalagmite Totem Pole and the beautiful Palette formation which gets its name from its likeness to an artist’s palette. 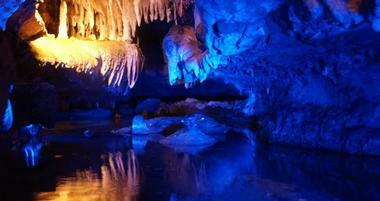 The caverns are closed from mid-November to mid-March. Partly traversing the foothills of the Great Smoky Mountains, the Foothills Parkway is a national parkway that is yet to be completed. It’s actually the oldest unfinished highway project in Tennessee, but once completed, will run along the Little Tennessee River and connect I-40 with Route 129. Driving through the section that is currently open to the public, visitors will go through a number of stunning low hills and mountains as well as flatlands and valleys. Visitors will be able to see prominent landmarks such a English Mountain, Chilhowee Mountain, and Green Mountain. The many mineral-rich mountain springs which can be found throughout are said to have health-restoring properties; there are many resort hotels in the area that have access to the springs. Managed by the Tennessee Department of Environment and Conservation, Burgess Falls State Park is one of the largest and most beautiful parks in Tennessee. The 350-acre park has many sites and attractions within in with one of the most popular being a steep gorge created by the Falling Water River dropping into a 136-foot waterfall. Visitors can not only enjoy the beauty of the falls but can enjoy park activities such as hiking, swimming, boating, camping, fishing, horseback riding, zip lining, and golfing. The park also has many summer programs and events planned for visitors of all ages. The Big South Fork National River and Recreation Area is a popular location for both locals and visitors. The former mining community has some amazing geologic features such as bluffs and natural arches left back from the water that runs through the area. The Big South Fork is home to some of the most natural bridges in the eastern United States. Sites that shouldn’t be missed other that the Fork includes the many natural arches, the Cumberland River, and the Charit Creek Lodge. During the winter Big South Fork transforms into an amazing winter wonderland as the water freezes over and the trees freeze with icicles. Bicentennial Capitol Mall State Park is an urban state park found in downtown Nashville that was opened in 1996 to celebrate 200 years of Tennessee’s statehood. 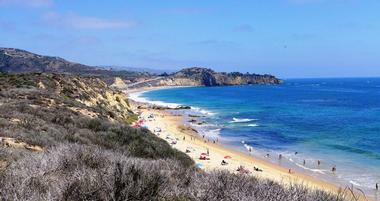 The nearly 20 acre park is open year round and has many natural and manmade attractions and landmarks on it. On one end visitors will find Tennessee Map Plaza, which is 200 foot granite state map that highlights counties, major roads, and rivers. There are 31 water fountains in state park, each of which represents the major waterways and rivers in Tennessee. Other aspects include an amphitheater, a plaza, and the Carillon Pillars. The Gatlinburg Scenic Overlook is one of the most accessible places for visitors to get an amazing bird’s eye view of their surroundings. Visitors can take the Gatlinburg Bypass and get to the overlook easily. The cool, crisp mountain air breathes life into any Tennessee vacation and the views of the surrounding mountains make the stop one of the most memorable of the trip. 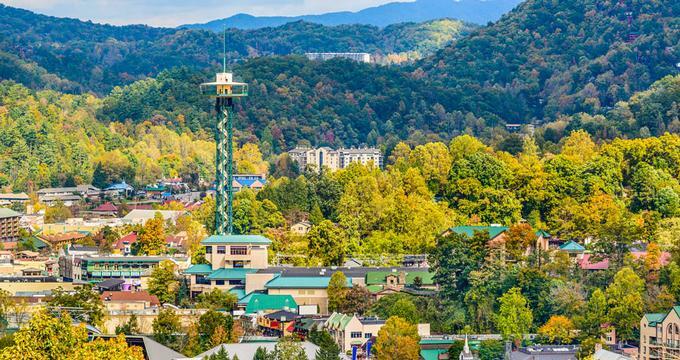 Not only will visitors be able to see the bright trees and high mountains but they’ll also see the attractions such as the Gatlinburg Space Needle from the observation overlook.